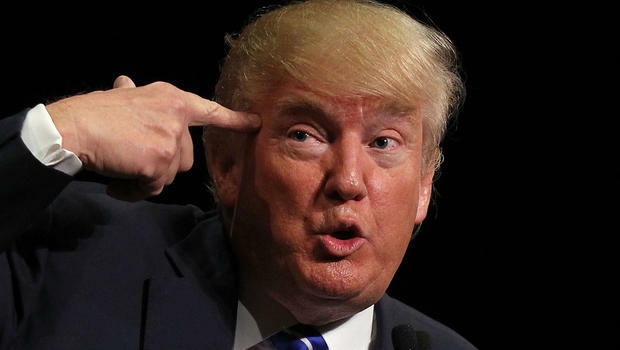 NEW YORK – (CT&P) – During a phone interview on MSNBC’s Morning Joe today Donald Trump told host Joe Scarborough that he planned on choosing a running mate who had some knowledge of something. Trump said that the potential vice president should have at least some understanding of a wide variety of subjects that he knows nothing about, such as civics, foreign affairs, domestic policy, science, and history. “A running mate should complement the nominee and make up for any deficits he may have,” said Trump, in an attempt to sound presidential. “I want to find someone who will be loyal to me but at the same time will be able to provide me with information about things that I’ve never thought about before, like governing. “For example, I’d like someone who knows what a bill is and how to get it passed, what form of government we have, and the functions of the five branches of government we have in this country. I just don’t know much about that kind of stuff. “I’m much better at acting like a lunatic and spouting crazy conspiracy theories that I read in the tabloids. That’s fine for fooling idiot Tea Party voters in the primaries, but in the general election and if I win the White House, I’m gonna need someone who can actually engage in critical thought if I’m going to get anything done. When Scarborough asked if he had anyone in particular in mind, Trump was evasive. “It’s too early to tell at this point. This will more than likely be a long process because we don’t know of anyone crazy enough to accept the job at this point.